A certain Mar Benten of Facebook exclusively informed PINOYHACKNEWS about the defacement. 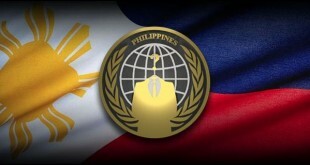 Two domains, www.btr.gov.ph and www.treasury.gov.ph which point at the same server is affected. However, the website’s index is not altered. The hacker uploaded his own file with name, “tulong.html” which includes the group’s message. 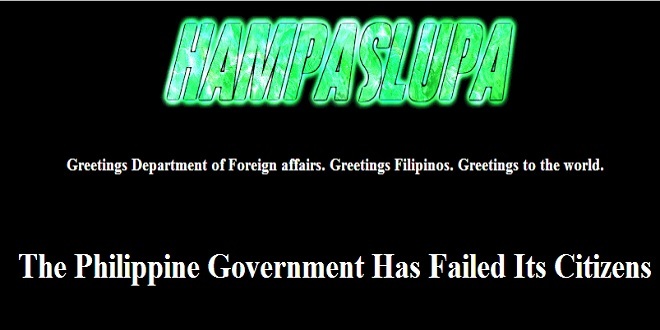 As stated, Hampaslupa provokes that the Philippine Government has failed its people. “Clearly stated from the excerpt of the message, that the consulate are taking chances on promises, also, clearly stated are the sufferings of our fellow Filipinos on Jeddah. What would be the action, what would be the plan? We need to fight back, and we need it with haste,” the hackers added. The hackers also point out that, the government should forget the election and have their promises in action. Greetings Department of Foreign affairs. Greetings Filipinos. Greetings to the world. It has come fast to our attention, the issue about the OFW's on Jeddah. "Yung mga nangyayari sa labas ng consulate ung mga nandun nahihirapan talaga. makakauwi pero wala pa naman action"
also, clearly stated are the sufferings of our fellow Filipinos on Jeddah. What would be the action, what would be the plan? We need to fight back, and we need it with haste. OUR FELLOW FILIPINOS ARE IN DANGER OF DYING! Open your eyes, speak the truth. Tell them facts, not sayings. Tell them the truth, help them. Quit bibblyjabbing about your promises. FORGET THE ELECTION! HAVE YOUR PROMISES INTO ACTION. They are clinging to God, PRAYING. but, "NASA DIYOS ANG AWA, NASA TAO ANG GAWA"
We have a bond, we stand as one. When one falls, the remaining stands strong. 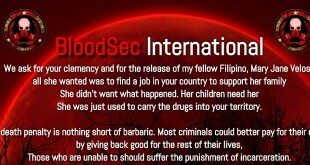 Previous Official website of PCdepot Philippines, defaced. Online Fashion shop Le donne gets owned, defaced.